OLD PARKED CARS. 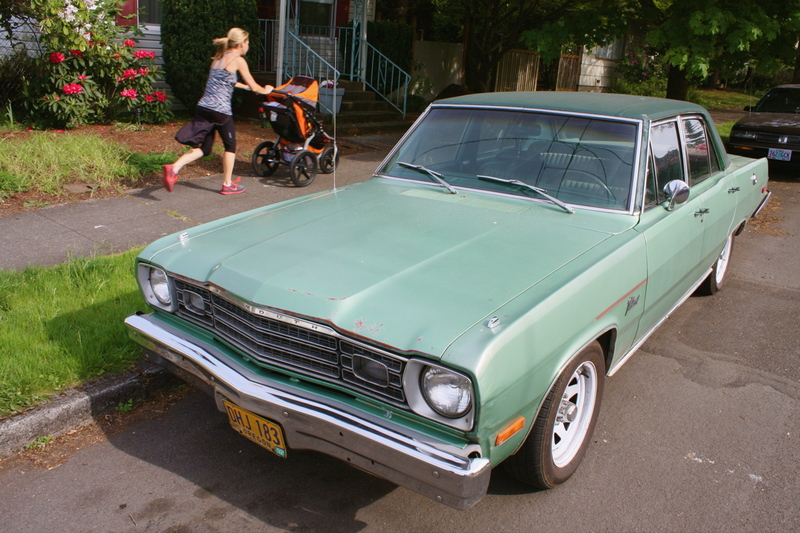 : 1974 Plymouth Valiant. Also, I'm fairly sure that's a '74, when the 4dr Valiant was switched to a longer wheelbase and became a Dart clone. See it make me want to watch Duel again! The truck in Duel is the best film vehicle of all time in my opinion. I don't actually think it's an opinion but a fact. i fixed the year and the typo. it's not the first time for either of those errors. 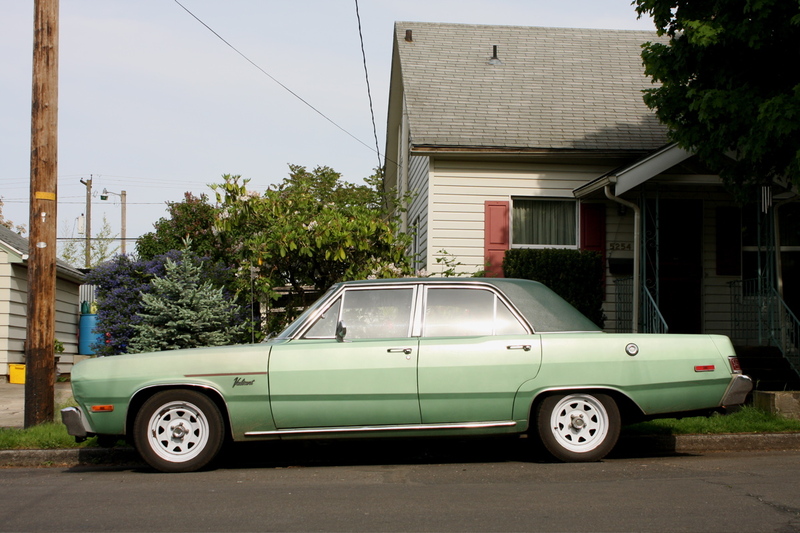 i always have a hard time discerning this era of dart/valiant. appreciate the correction. Nice patina, don't really dig the wheels. Slotmags would set this Valiant off. 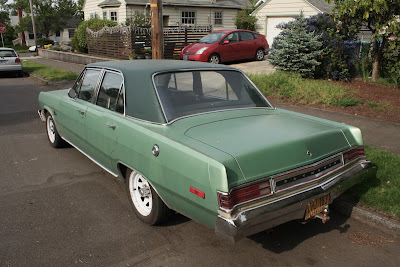 Here's how to tell the sedans apart: the '73 has a much more vertical rear end with vertical lights, while the '74 has an angled rear with horizontal lights. The wheelbase increased from 108" to 111", some of which can be seen in the C-pillar.